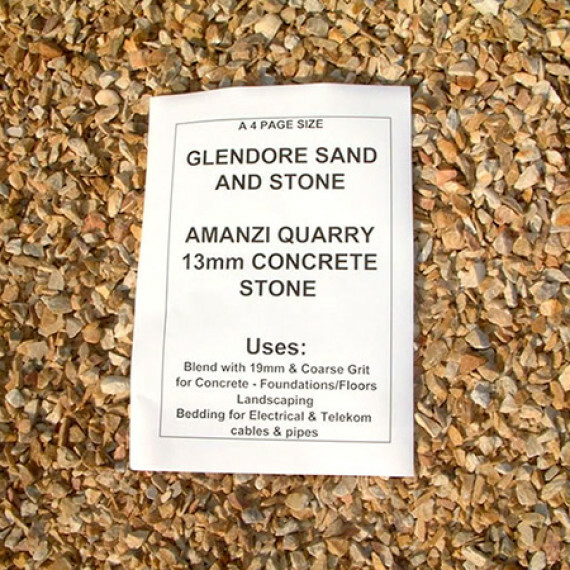 Sourced from Amanzi Stone Quarry. 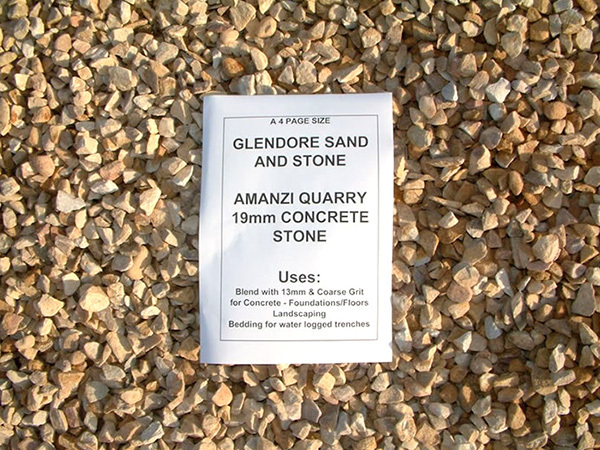 Amanzi Quarry 19mm Stone is ideal for landscaping and surfacing of driveways, the brown colour is much more appealing to the eye than the alternative, the hues of brown blend into the environment and the stones don’t discolor or get dirty. 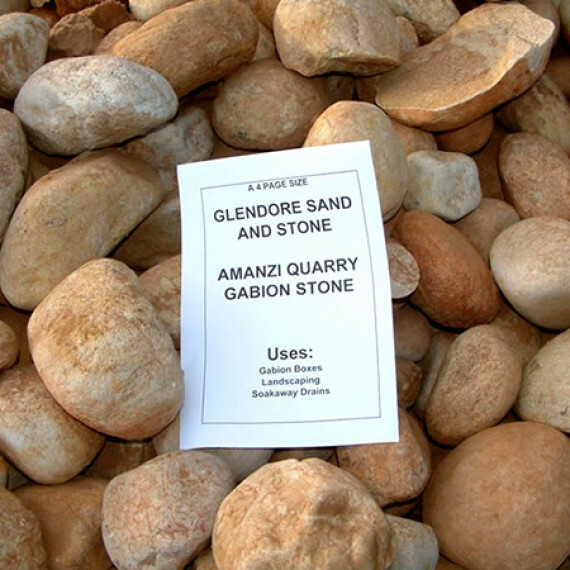 In order to calculate the quantity required, multiply the Length by the Breadth, and then multiply by the Depth that you would like to lay the stones. We recommend a depth of about 5cm, which will be 0.05. 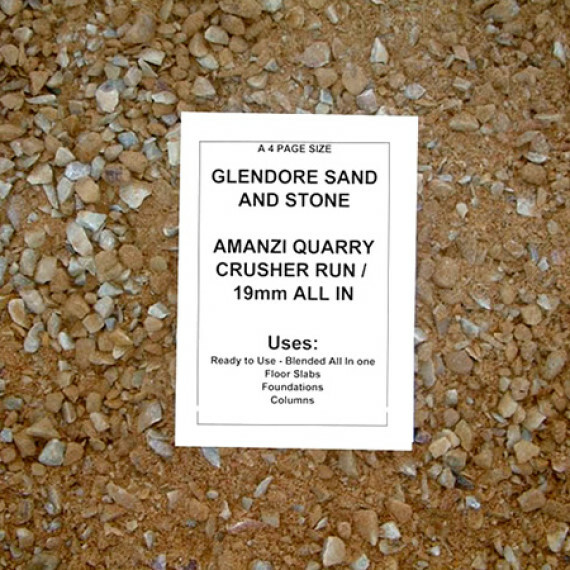 The calculation will give you the quantity that you require in cubic meters. Make certain that all the units are in meters for all measurements. Our friendly sales staff will give you a price, and take your order, to supply material, including delivery to your site. 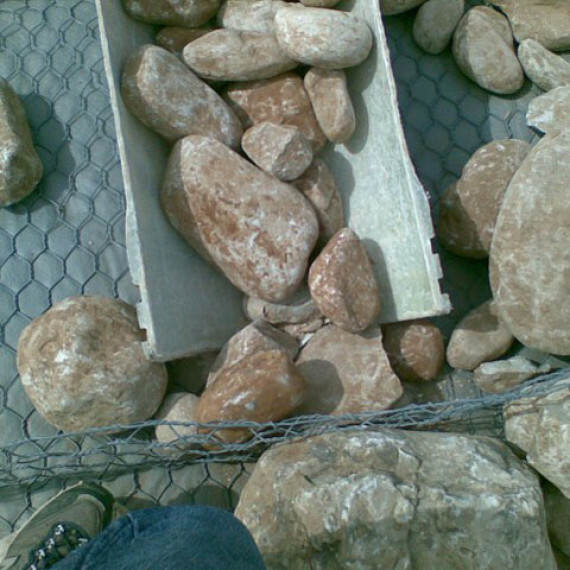 We also supply Gabion Stone, River Boulders, and 13mm Stone, which look really great when used for landscaping. See the relevant pages on this website for more info. 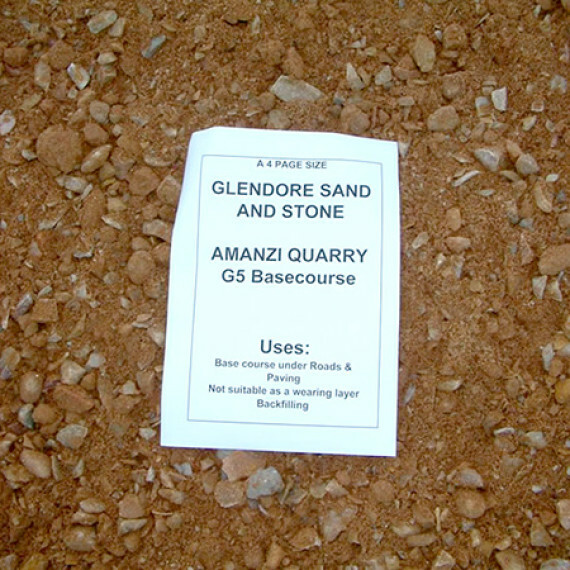 This material can also be used for bedding of pipes in trenches when there is excess water. 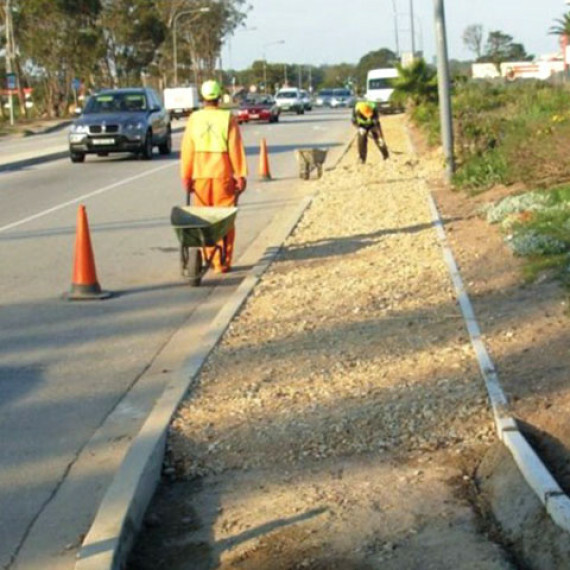 We supplied about 3000 m^3 to WK Construction in 2007 for the Smelly Creek collector sewer, which was situated between the N2, and the dolosse, opposite the Goods Sheds in Deal Party, Port Elizabeth . There were times when during rough seas, and at high tide, the sea water actually spilled into the trench! yet through the use of our product, they were able to overcome this problem, and successfully complete the project. 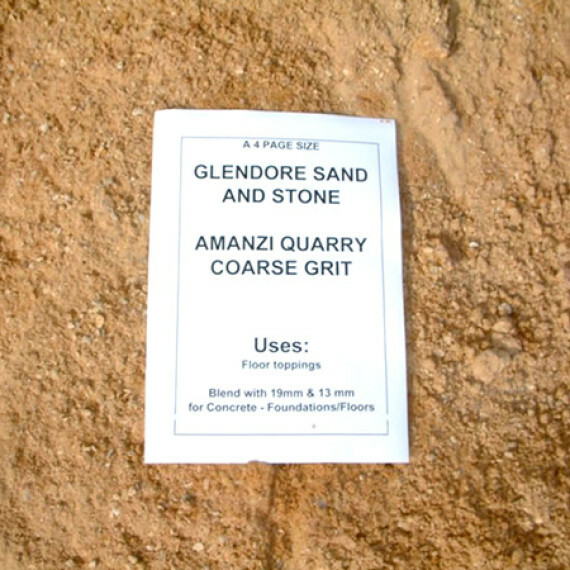 Another recent client in this regards was Shearwater Construction, who had to put a Water Mains Pipeline over the Swartkops river, and right across the flood plain, the use of our 19mm stone, keeps this pipeline stable in otherwise unstable ground.